WESPA Youth Cup 2019 will be held from 29 November to 1 December 2019 in Malaysia. The venue and exact schedule will be announced shortly. This fantastic event takes place every year in a different part of the world. In 2018 it was held in Dubai, United Arab Emirates from Thursday 13 December to Saturday 15 December 2018. The WYC is open to players under the age of 18 at the end of the year. It not only gives players the opportunity to show their Scrabble skills but it is a great way of making friends with others from varied cultures. The WESPA Youth Cup (formerly the World Youth Scrabble Championship) has been contested every year since 2006. 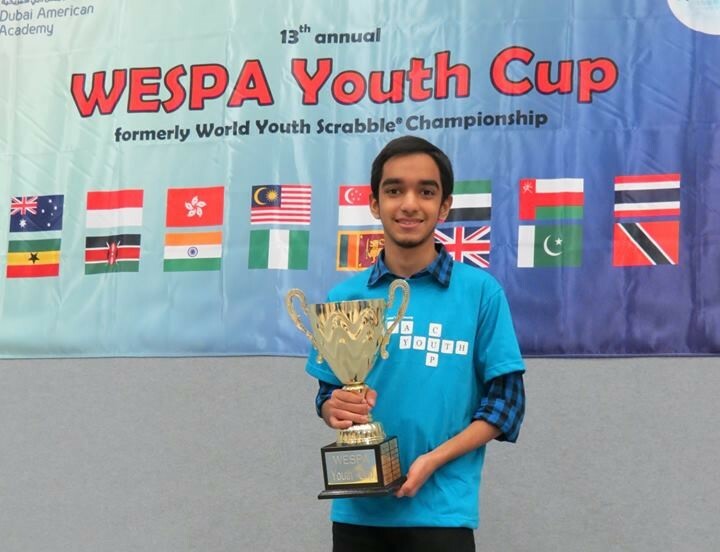 Previous WESPA Youth Cup and World Youth Scrabble Champions are listed below. However, there are many more prizes awarded, which you can see when you click the links to see the event coverage from the past. Scrabble tournaments rated by the World English Scrabble Players Association (WESPA)are listed on the Tournament Calendar section of the WESPA website. Karen's Coaching Clues - Guidelines for those wanting to run a coaching session. Scoring Tutorial Powerpoint presentation - learn how to score your moves. Scoring Tutorial - Check you can score correctly? The tutorial includes a How to Use Guide , the tutorial (answers on last page) , a worksheet , and a sample worksheet with the first few lines filled in. 2 Tables - What goes after each letter; and what goes before each letter? What goes after each 2 letter word; and what goes before each 2 letter word? Scrabble Starter Packs for new players. If Only is a wonderful game for brushing up on bonus words. Battle of the Tiles Game where you can play the computer with the computer restricted to 10 different levels (selected in Options). FREE! - highly recommended for beginners! EA Scrabble App (Android and Apple) - requires a facebook account, for which you must be at least 13 years old - FREE, but uses a bit of data, and has optional in-app purchases and ads. Classic Words Free (Android and Apple)- this has a pass-and-play mode for playing with someone who is with you - FREE, but there is also a paid version with more features. Scrabble Expert (Android) - FREE, can do build, anagram and pattern searches. ULU (Apple) - FREE, (stands for Ultimate Lookup Utility), and also does word checks. Wali Timer (Android) - FREE, A phone or tablet based game timer that also does in-game challenge adjudication, and can be used to look up words. Anagram Quizzer (Android and Apple) - FREE, and can be used to study words. There is a paid version with more features. Scrabble Word Checker (Android) - FREE, and also gives word definitions if you choose, so it can also be used as a dictionary. It may use a tiny amount of data to get word definitions. ULU and Wali Timer (above) also have this function. Anagram Quizzer (Android and Apple) - FREE. There is a paid version with more features. Cram flashcard app (Android and Apple) - FREE - you have to make or download your own flashcards to study. Quizlet flashcard app (Android and Apple) - FREE - you have to make or download your own flashcards to study. Flashcards Deluxe (Android) - FREE - you have to make or download your own flashcards to study. Many chess clock apps can also be used. Facebook Scrabble - FREE - requires a facebook account, for which you must be at least 13 years old. You can play against your friends, or a random opponent. On your facebook page, go to search and type "facebook games" and press enter. Then, near the top, where it says "Instant games", click the "visit" button. On the next screen, click "Find Games" just above the heading "Instant Games" in the top left. On the next screen, in the search box in the top right, which says "Search for games...", type "Scrabble Mattel" and press enter. Quackle - FREE to download at www.quackle.org. Warning, it only plays on expert level, so rather start off with Battle of the Tiles or Classic Words Free if you're a beginner. Aerolith - FREE at www.aerolith.org. See how many anagrams you can solve in 5 minutes games. 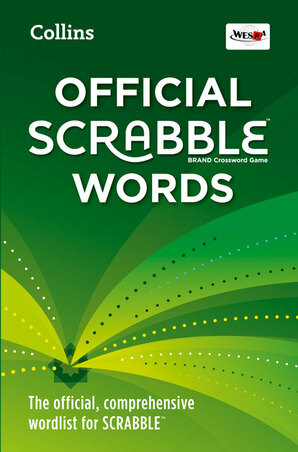 The WESPA website has information about international English language Scrabble including ratings. The Australian Youth Scrabble site has news about Youth Scrabble in Australia and overseas. Kenji Matsumoto has a website www.breakingthegame.net with information on books and strategy tips. NOTE: Facebook is restricted to those aged over 13. There is a facility for playing Scrabble against your Facebook friends (Scrabble Mattel app). You can play against your friends, or a random opponent. On your facebook page, go to search and type "facebook games" and press enter. Then, near the top, where it says "Instant games", click the "visit" button. On the next screen, click "Find Games" just above the heading "Instant Games" in the top left. On the next screen, in the search box in the top right, which says "Search for games...", type "Scrabble Mattel" and press enter. There are interest groups such as Scrabble Snippetz with posts of interest to Scrabble players. See the WESPA website for contact details for National Scrabble Associations. For players in Australia, New Zealand, Philippines, Malaysia, and many other Asian countries, pick up a copy here! For players from the UK or Europe, click here! The official word list for Scrabble tournaments throughout the realm of the World English Language Scrabble Players Association (WESPA) is Collins Scrabble Words 2015. See how many others you can find. Print the following tests out to see how many you know, then check the answers to see what you missed. Mind Mapping is a technique whereby you create a document which links like concepts (words, in this case). Using colour helps to aid recall. This mind map created by Chris Hawkins will give you the structure - make your own, there is even more learning if you do that!